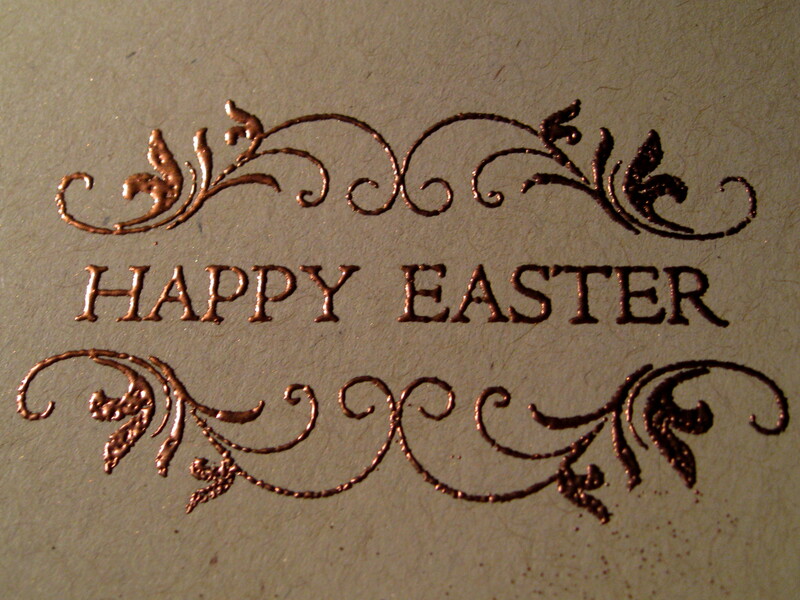 Cool tags for your gifts – Easter! The technique I want to show you is called “Heat embossing” and when I first became interested in papercrafts this fascinated me and still does. The design you stamp is raised off the surface of the paper and has a glossy shine to it. 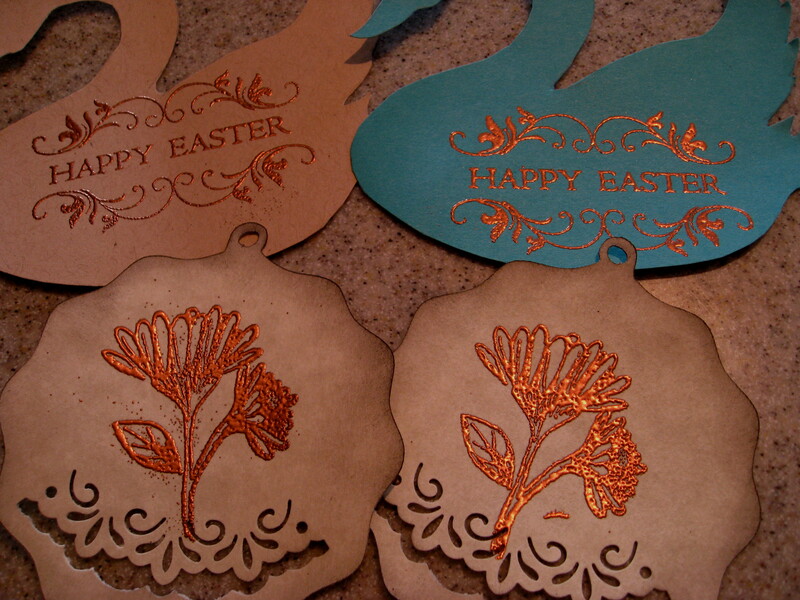 The only drawback to this method is that you do have to purchase special supplies – a heat tool, embossing powder and Perfect Medium stamping solution. Choose your paper be it a card, tag or a design for framing. 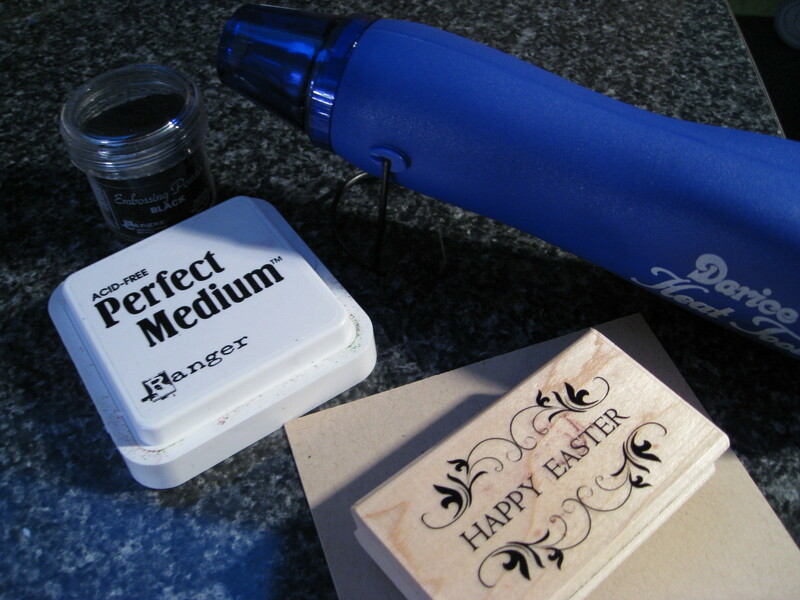 Stamp the design using the Perfect Medium and then sprinkle embossing powder onto that. I used a copper color which gives it a nice antique look. 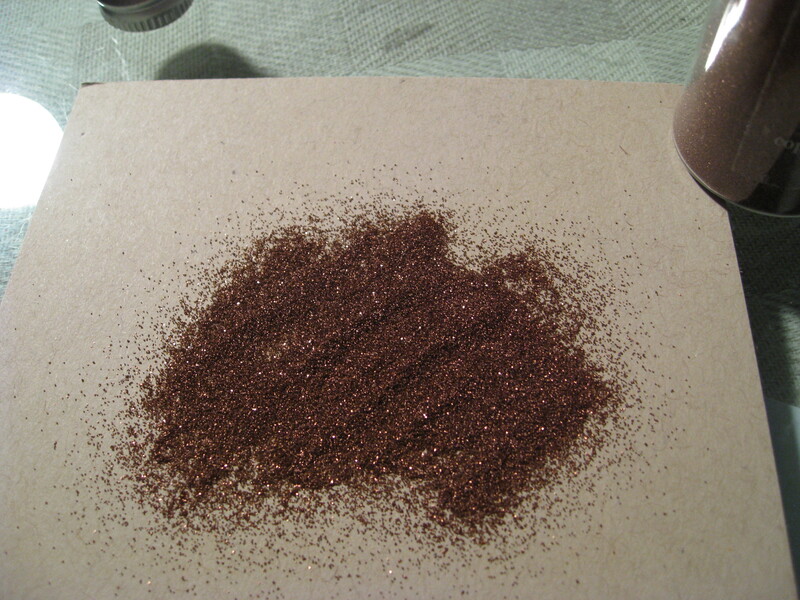 Shake off the excess powder and return it to the container for future use (don’t discard). Then take the heat tool and heat up the powder which will transform before your eyes. Something that adds a dramatic look to the tags or card is taking an ink pad and going around the edge and brushing it with color. You can see that on the lower flower tags here. 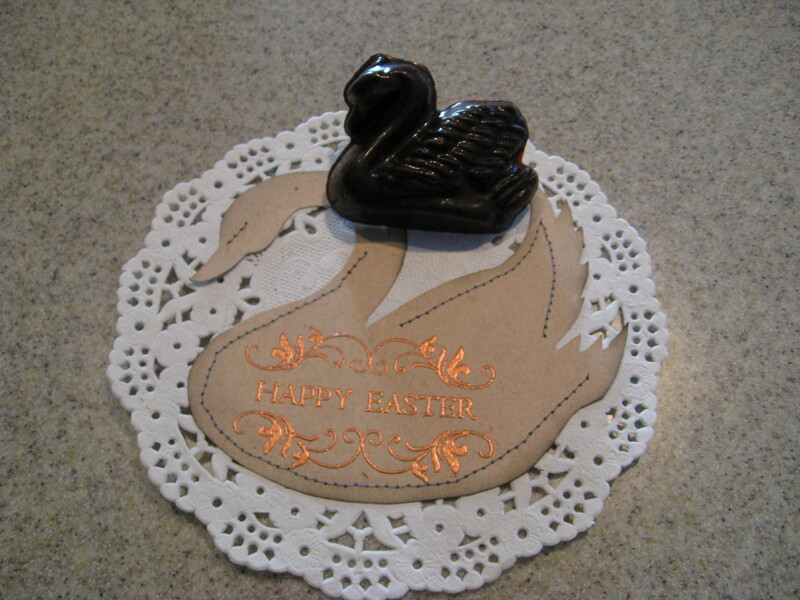 I then took a swan design and using my sewing machine slowly attached the swan to a doily – I emphasize slowly since we are working with paper and you don’t want to tear it by sewing too quickly. You can further attach this design to a box lid or use as a place card with an added little treat for your guests adding the date and their name so they can save as a treasured keepsake. 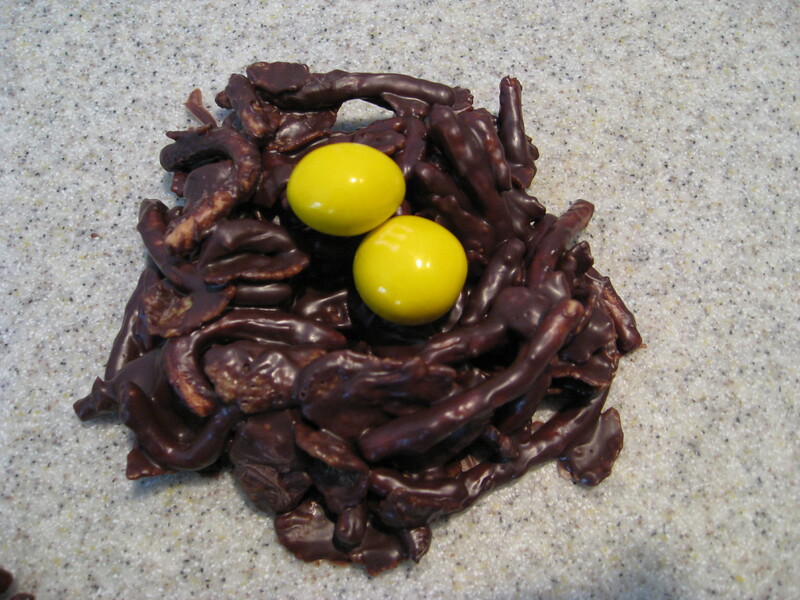 Which type of Chocolate do you prefer – Dark or Milk Chocolate? Vote here! 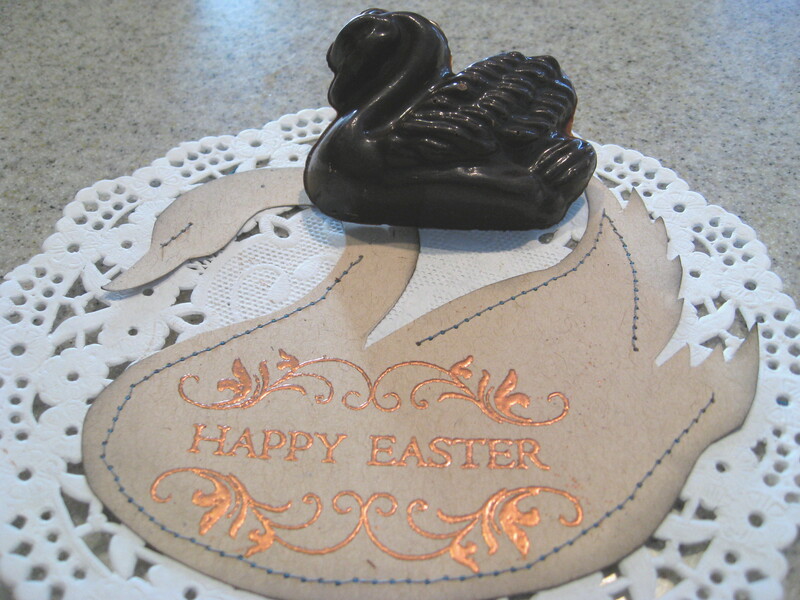 Added to the “Get your Craft On” blog linkup…Thanks! 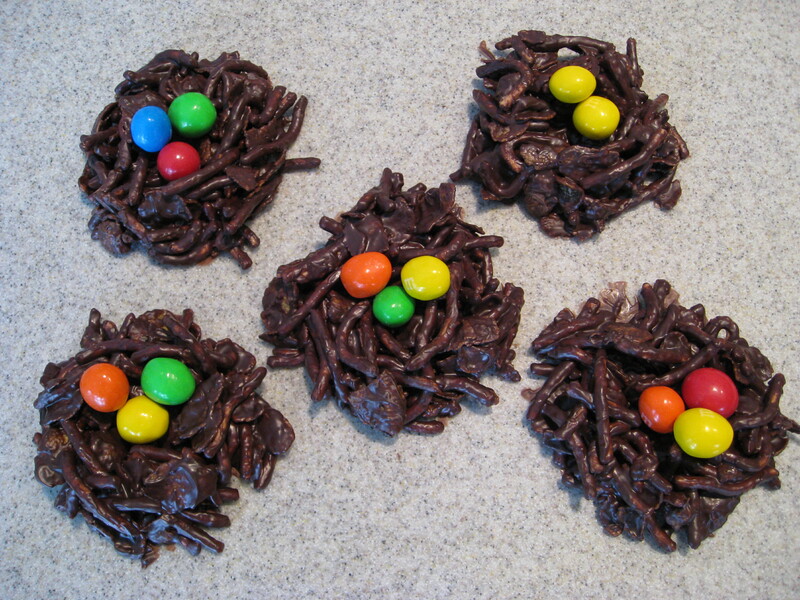 These easy to make decorations will soon adorn all your baked goodies! From cakes to cookies, cupcakes and everything in between. You can make them well ahead of time and not worry about spoilage since they harden and last for quite a long time. Keeping that in mind, you do have to keep the dough that you are not working with in an airtight container – the air will cause the dough to harden. 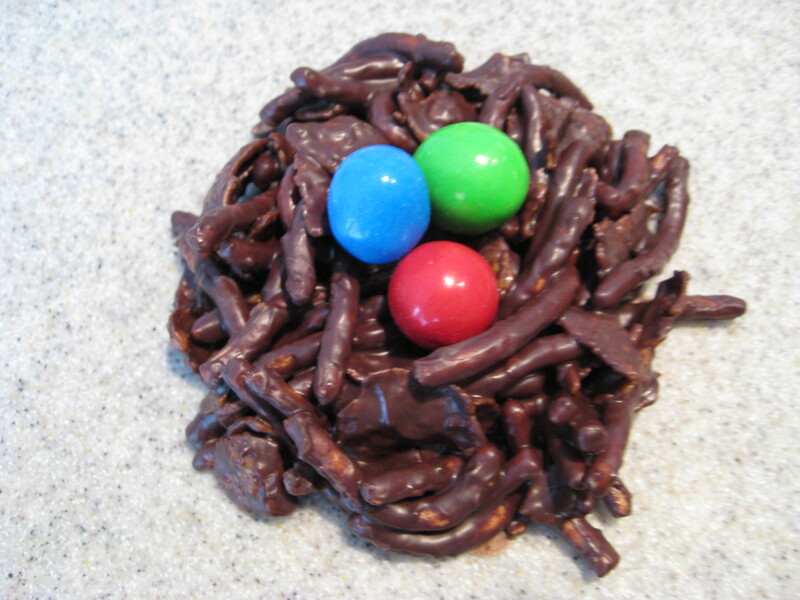 The dough you will be working with is called gum paste or candy dough and I do have a recipe to share. 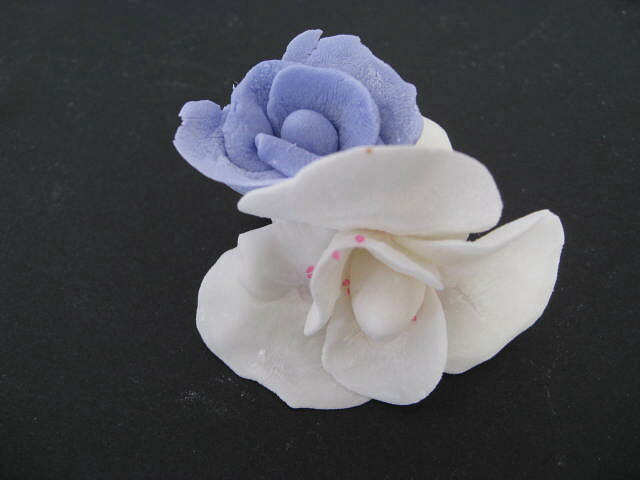 I used the store-bought gum paste mix simply because I saw it at the store and bought it. All I had to do was add water. 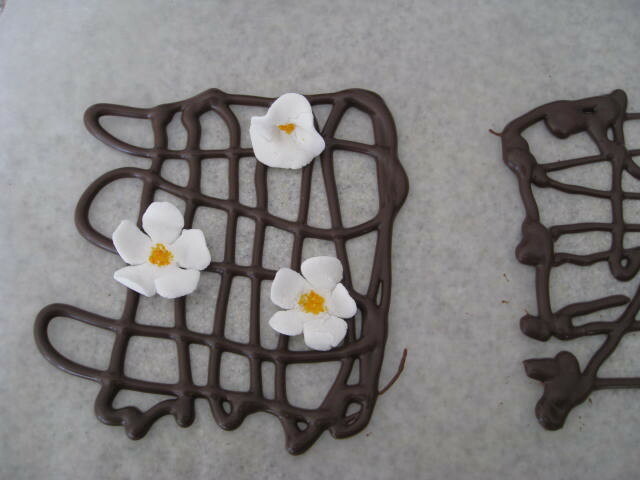 The dough is a tad sticky so adding confectioners (powdered) sugar as you work with it helps greatly. 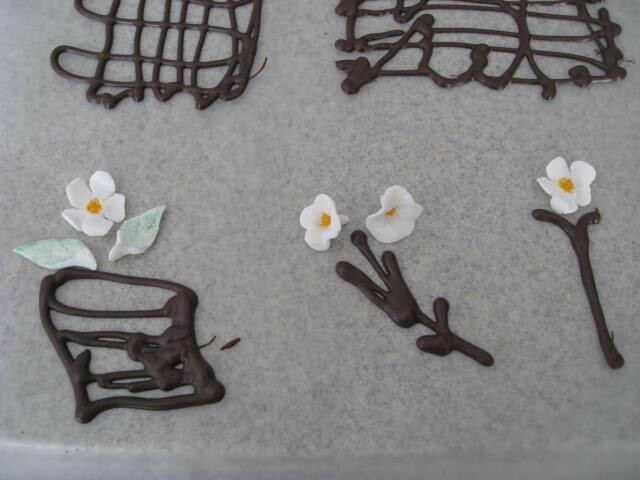 The dough is easy to work with and making flowers, leaves and other designs is actually quite Fun! 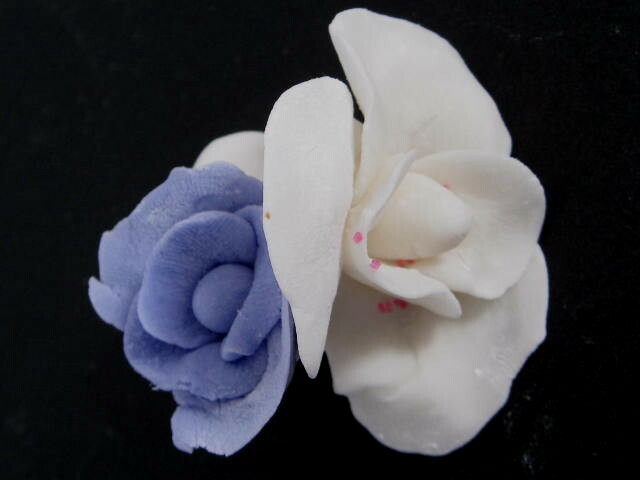 I did use food coloring a little, tried pink sparkles which didn’t adhere and mixed in food color paste (the purple) to create a colored flower. You can make your designs ahead of time and keep for future decorating when the occasion arises. The recipe for Candy Dough contains 1 cup confectioner’s sugar, 1/2 cup cornstarch, sifted, 1/2 cup water, 1/2 tablespoon unflavored gelatin and 1/2 teaspoon cream of tartar. Mix all ingredients with an electric mixer. Take the mixture and wrap it in plastic wrap and place in an airtight container. Set aside for 3 hours. 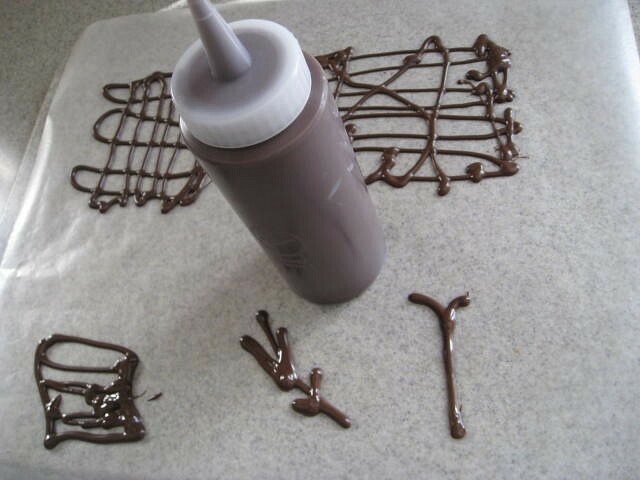 Unwrap the dough and your imagination and get creative! 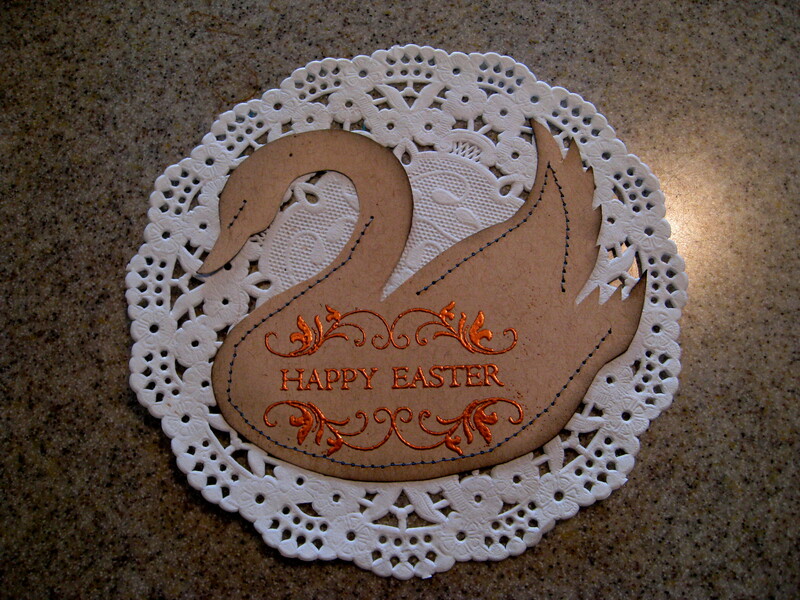 Added this craft post to Get your Craft On linky… Thanks! 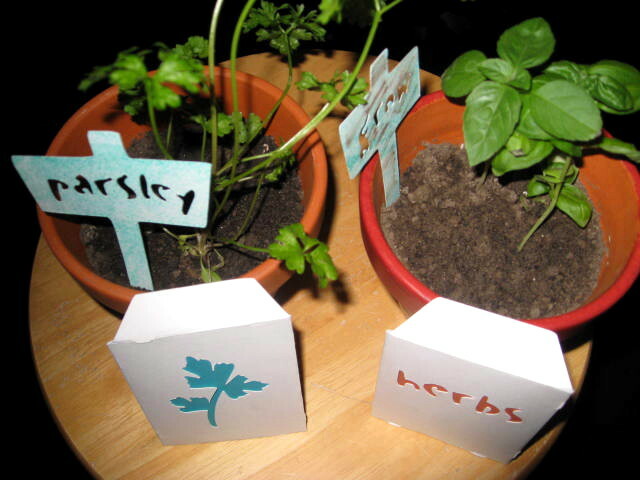 Earlier this week I talked about my herbs which I have growing indoors and they are doing Great! I planted them back in November so give or take 3 months and you have a good crop to harvest for spicing up your meals! Then I got to thinking about the upcoming holidays and since I am big on homemade gifts…I thought potted herbs are the perfect gift for Valentine’s Day, Mother’s Day or any Birthday! I have recently acquired the Cricut cartridge “Freshly Picked” and haven’t had time to delve into what it can do. What I really like about this cartridge is it’s all about Gardening…one of my favorite things in the world. 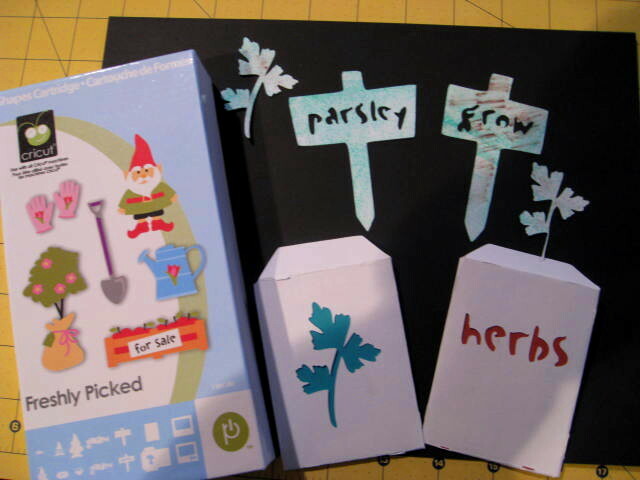 So today I took some time and made a few seed packets and little paper signs. This is only a start … I can do so many creative things with this! I had the herbs growing in the standard black plastic pots so I transplanted them into nicer terra-cotta pots. 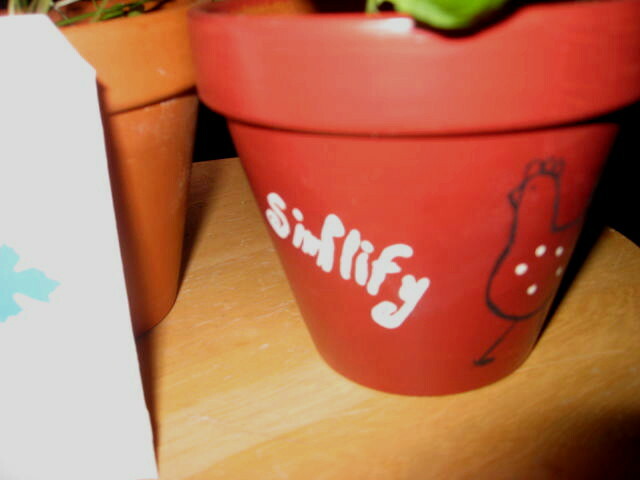 You can decorate the pots any way you desire, any color and even personalize them with names, dates, etc. 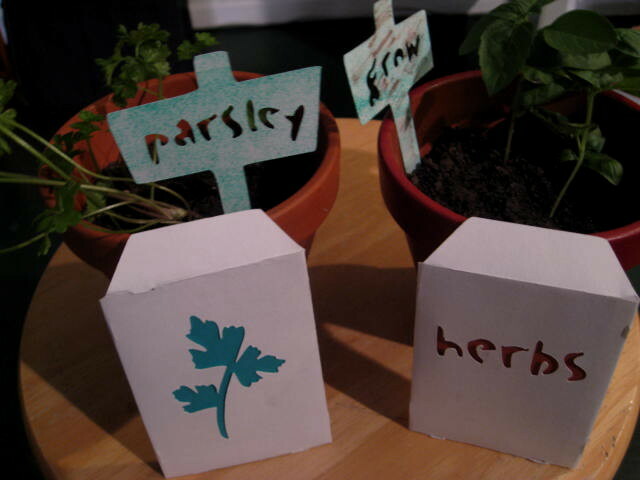 Add a packet of those saved seeds you kept from your garden last year and you have a spectacular homemade gift! 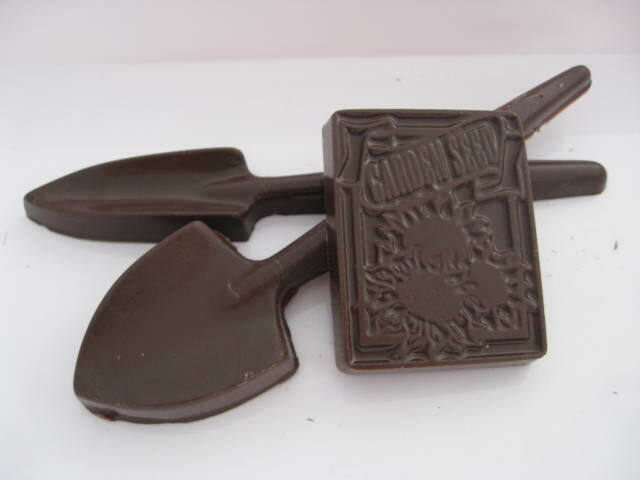 You can even include some garden themed chocolates…..Yum! Perfect!! ~ Now is the time to bring a little summer sunshine into your surroundings ~ and I will show you how! With temperatures dipping well below zero and winds gusting outside with a high pitch screech and lasting echo, it’s hardly time to think hot summer days. Let’s … for a moment … forget the current outdoor conditions and relish in the past … the hot days spent lounging poolside, gathering flowers to adorn the table and taking a few sprigs here and there and “pressing them” to save for later. As we gaze into the fire as we sip our hot cocoa, we can envision the swaying sunflowers dancing in the breeze. Let’s talk flowers! 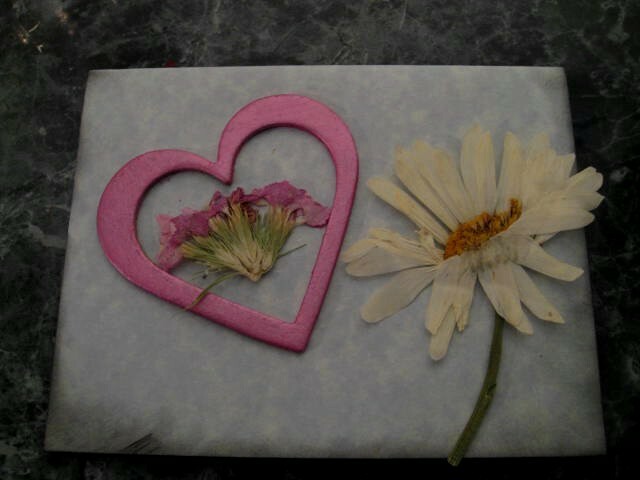 Using pressed flowers is not a new idea … earlier this year I created this post and it is an easy art to conquer. I think we simply overlook all the possibilities to save those moments of celebration. Saving our corsages, bouquets or even a bundle of flowers picked up from the market will extend the memory and bring joy long after the event has passed. My stash of saved pressed foliage has a variety of flowers, ferns and even herbs that were picked and pressed in heavy phone books for several weeks to several months. I always thought the flower had to be small and flat to press successfully, but I have had great success with bigger and thicker flowers as well. The trick is using heavier weights and longer drying time. 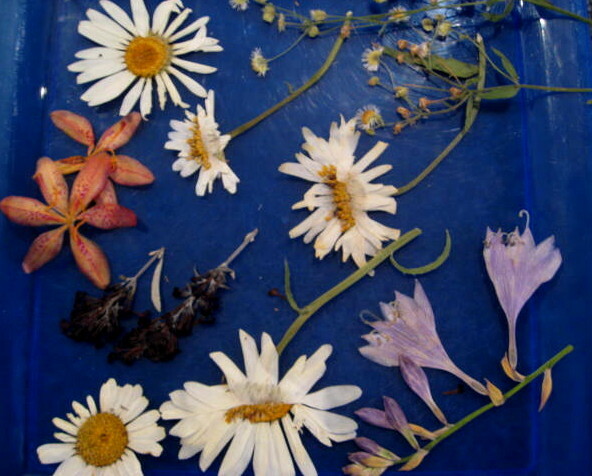 Working out your design and what you intend to create using your pressed flowers should be fun and care taken to handle the flowers carefully since they are now rather fragile. Tweezers are ideal for handling and if petals or stems break off, you can glue right back into place. 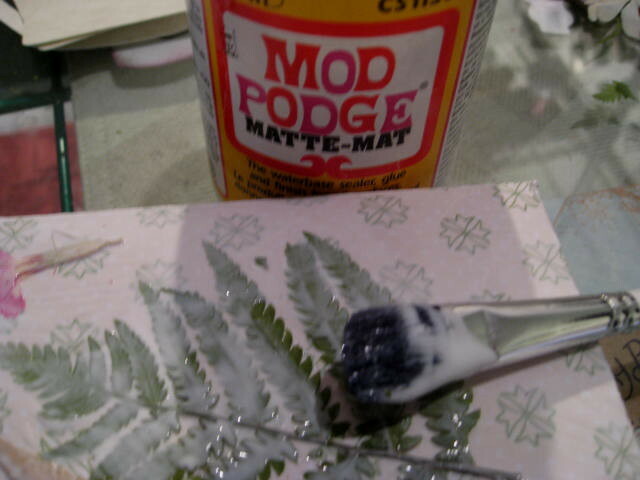 The recommended glue to use for placement and also sealing is a product called Mod Podge. 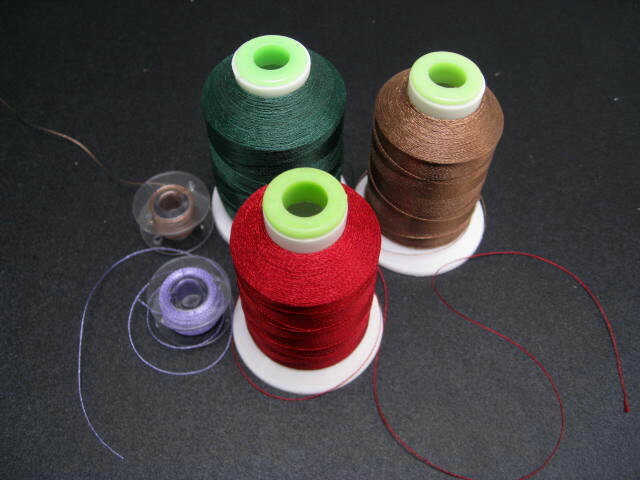 It can be found at craft stores – most supermarkets also carry this product. 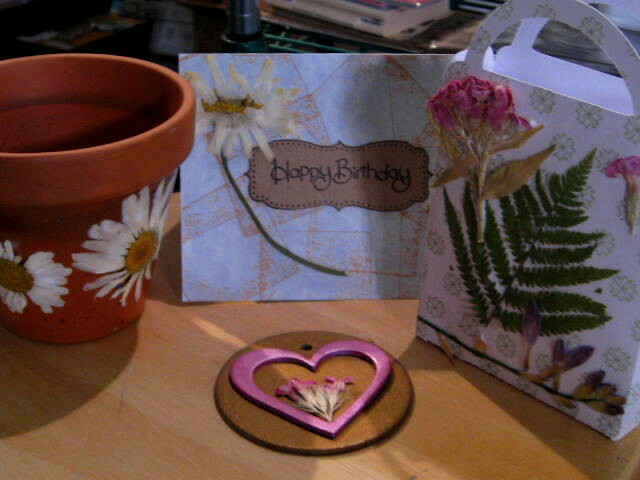 A favorite design I enjoy is using the flowers on cards for special occasions and special people. There are many ways to use your precious flowers and there is no limit on what your imagination can create. 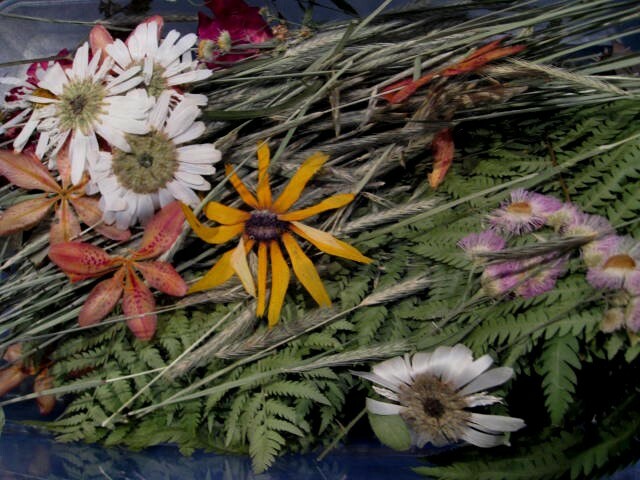 As you browse through the gardening catalogs on these cold snowy days, envision the colorful, fragrant fields of flowers you can grow or better yet… Jump in the car and head to the store for a bundle of beauty! Enjoy them now and save some for later! I purchased this book several months ago and read it rather quickly. I Love It! Not because of the information it contains, but the strong feeling I get when I see what these women have accomplished. The book portrays 28 successful small business owners who strive for more … who have a calling to unleash their passion and they are doing just that. The book does not give detailed information on” how to” but rather it profiles these 28 women and gives a brief description of them, their business and dreams. It held my interest and still does (as I sit here flipping through the pages again). I listed a few of the businesses featured so you can get a feel for what I am talking about. They went beyond selling to their friends and/or just an online community … they focused on the bigger picture. 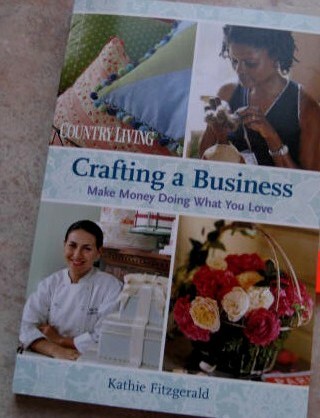 Creating a Big small business and I find it very inspiring. The deep meaning that I find in this book is this – you can create a craft business and sell your products on-line or at craft shows or even a storefront, but. The” but” is what captivates me. Each and every one of these individuals aimed high. You have to take your mind and put it into focus … focus on where you are going, live and act like you are already there and you will be before you know it. Go after the big picture! These brilliant ladies did it and they are telling their story!